Dining at Sek Yuen in Jalan Pudu feels as though you’ve travelled back to time – the old wooden tables and chairs, walls adorned with black and white pictures, stainless steel standing fans, and metal bowls with dents and scratches after decades of usage. The waiters and chefs at Sek Yuen have been there since the beginning; they are at least 65 years old, I reckon. Fitter and more agile than many youngsters these days, they dart across the restaurant holding plates of food with their nimble hands. If you barely speak Chinese, ordering might be a problem as there is no menu and the staff know only a smatter of English. Good thing I was dining with Ken, who did all the ordering. 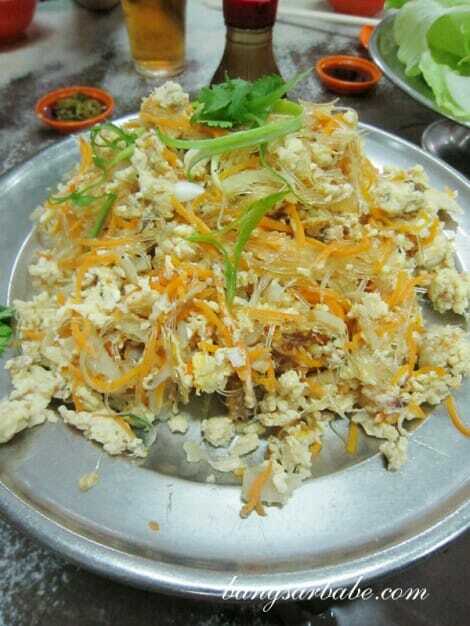 According to him and this article, yee sang originated from Sek Yuen. 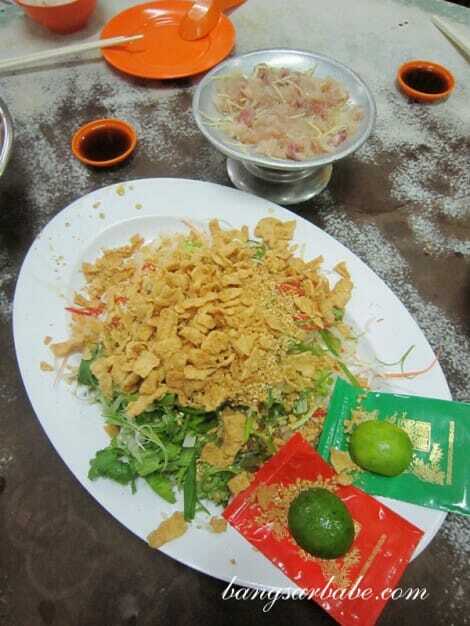 Sek Yuen’s yee sang (RM24 – small) features snow pear strips, spring onions, parsley, homemade crackers, sesame seed and sang yue (snake head) with ginger slices. The yee sang – tossed in light plum sauce – was light and delicious. Crunchy from the crackers and crisp from the greens, it was a refreshing change from the ones you usually get at restaurants and hotels. The Eight Treasure Duck is a popular item and you will need to order this a day earlier. 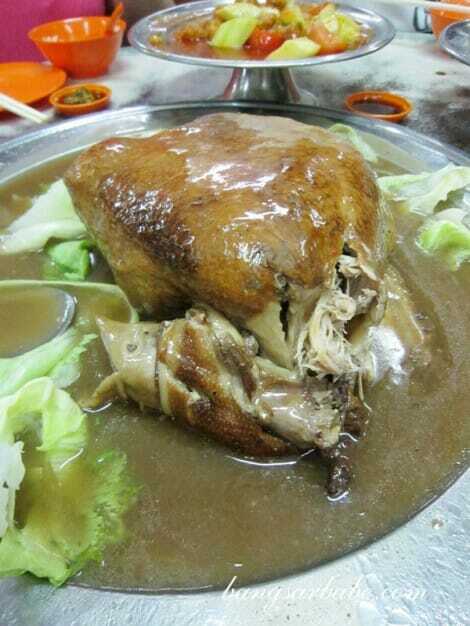 They only sell a whole bird so it’s best to eat this in a group. 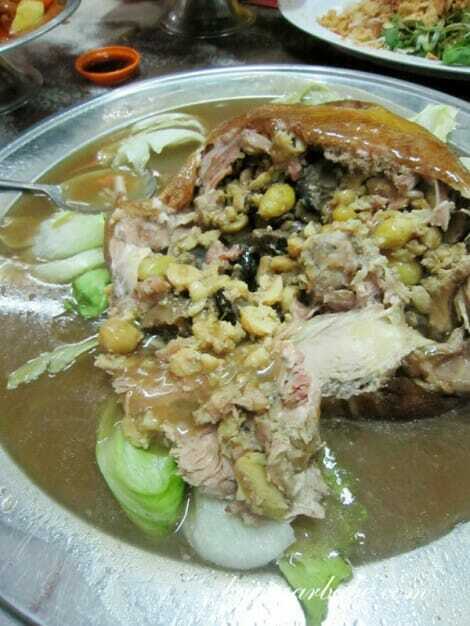 Stuffed with eight ingredients including gingko nuts, mushroom, lotus seed, chestnuts, yam and pork, the (deboned) duck was meltingly tender from the hours of cooking and flavourful from the stuffing and gravy. 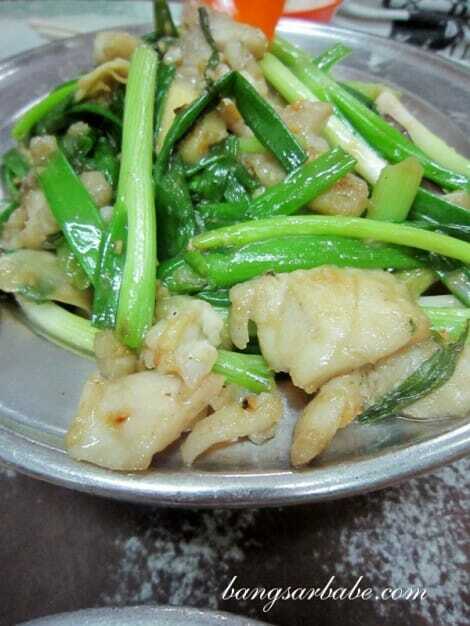 The Fish Fillet with Ginger and Spring Onions had more spring onions than fish. Tasty, but I would have liked more fish in it. Maybe that’s how people ate food back then – more vegetables and less meat. No wonder my grandmother complains that I eat a lot of meat compared to rice! Sweet and Sour Pork is a common Chinese dish but only a handful of people make it well. Often, it is too tough, floury or batter-heavy. 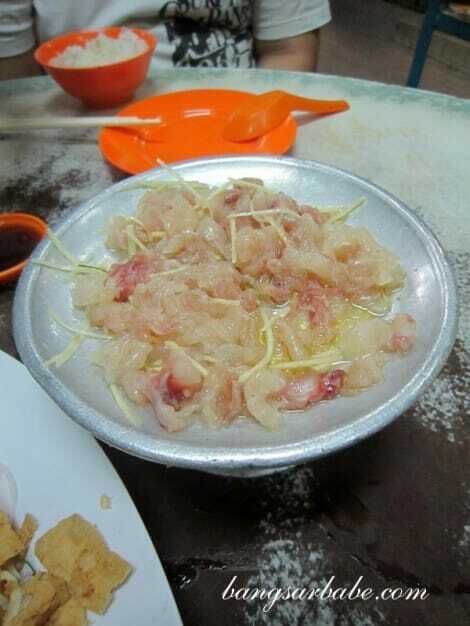 But Sek Yuen’s version was as good as sweet and sour pork can get. The pork pieces were tender, coated in batter and deep-fried till crispy. 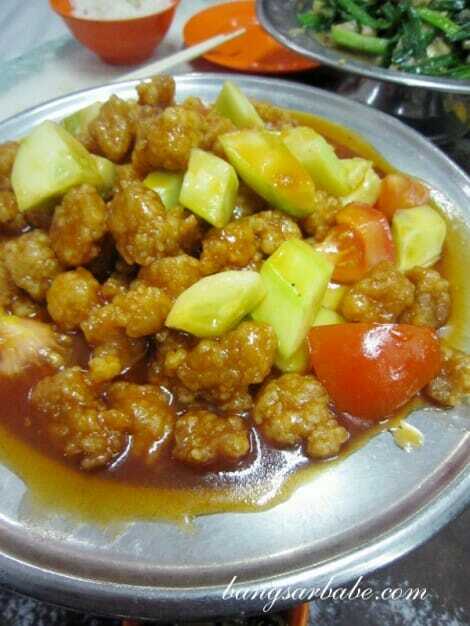 I liked that the sweet and sour sauce didn’t taste artificial – the chef prepared it using plum sauce and tomatoes. More rice please! The Stir Fried Kangkung Belacan was nothing to shout about, but it was tasty enough to go with rice. 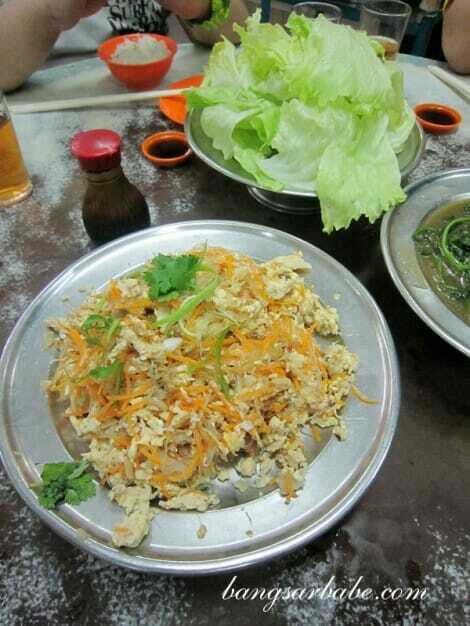 Kwai Fa Chi (sharks fin with egg) was a new dish to me and I enjoyed it. 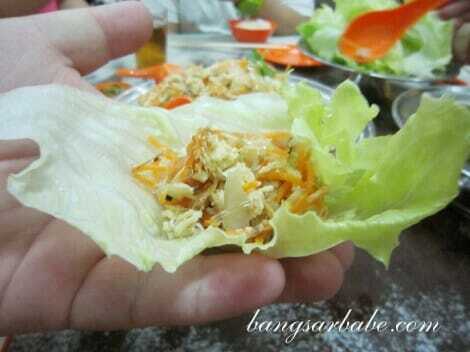 You basically use the lettuce to wrap the filling and top it with a dash of black vinegar. 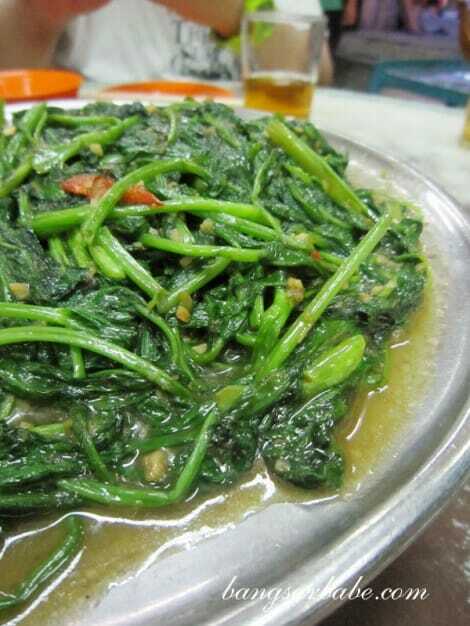 The eating method is similar to jiu hu char, but the filling is nothing like I’ve tasted before. Dinner tasted very homecooked and I didn’t feel thirsty after the meal. 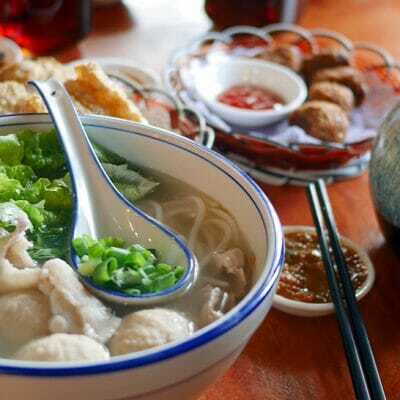 At Sek Yuen, the food is simple, hearty and cooked with passion. Thank you Ken, for the introduction! Verdict: Simple, unpretentious Chinese food that is cooked with passion. Have always wanted to go this place. According to my dad, it was once a very famous shop back in the 40s – 50s. From your description of the lou sang ingredient, i just can’t wait to order them!! But I guess this lou sang dish is temporary out from the menu till next year?? 😛 OMG, one year wait? 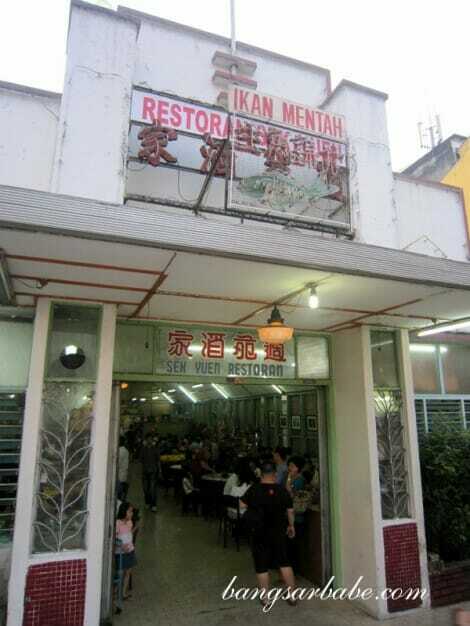 yup i heard that too.. it was a very famous restaurant back then..
maybe less promotion to d young generation.. I start to drool for the sweet and sour pork now …. just any one of the dish here and a bowl of white rice, I can complete a meal. Be it lunch or dinner …. The eight treasure duck looks delicious. A buddy has been telling me that this place is good but I’m yet to get there. Your pics might be just the motivation I need. 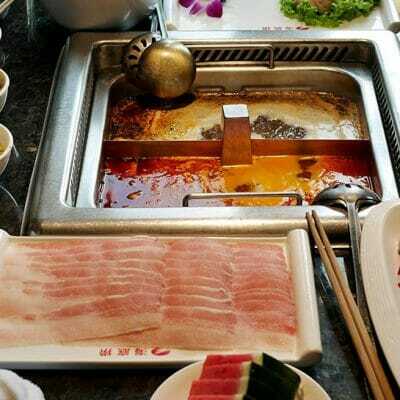 Was that your first time at Sek Yuan? Well, I came there for the first time too during Chinese New Year. I think I’ll be more likely to come back there with my family if I have a chance! I had a pretty bad experience here. My mom actually yelled at me for even suggesting to have lunch here a month ago. The lunch was awful by the way. Yikes! Poor you. What did you order? This place is special. I forgot the food (think it was their roast duck) but will not forget the friend who brought me here – years ago. This place brings back lots of memory for me. My family will have dinner there every Fri for almost 20 years starting from the 60s. Those folks working there are like relatives. But the standard have dropped and have not been there for almost 10 years now.